Anything Sarah and I can do to make our lives easier and our meal preparation quicker, we are willing to try. 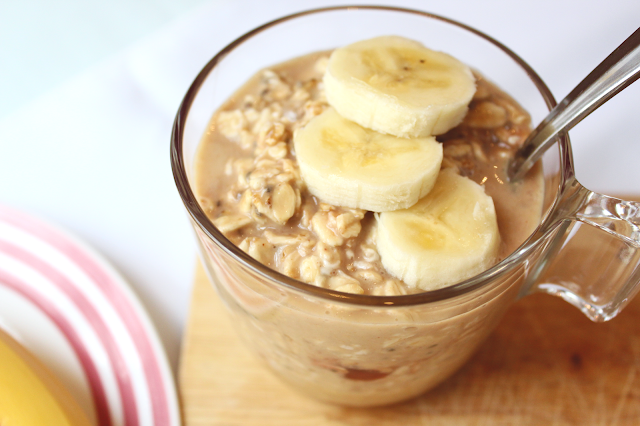 Overnight oats are a perfect example of streamlining your meal preparation. 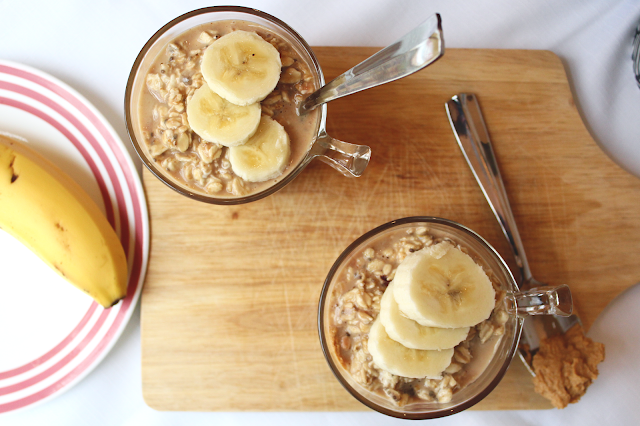 Perfect for breakfast, these oats are filling, satisfying, sweet, savory, and of course super easy! Peanut butter overnight oats are nothing new, so Sarah and I decided to take it all the way and make it a full blown PB&J! - Add the oats and mix once more until all the oats are saturated and submerged. - Cover with a lid or plastic wrap. - Place in refrigerator over night, or at least 6 hours or so. - Top with fruit of your choice and enjoy! The peanut butter and jelly combination in this dish translates perfectly to what you'd expect from your childhood favorite sandwich. 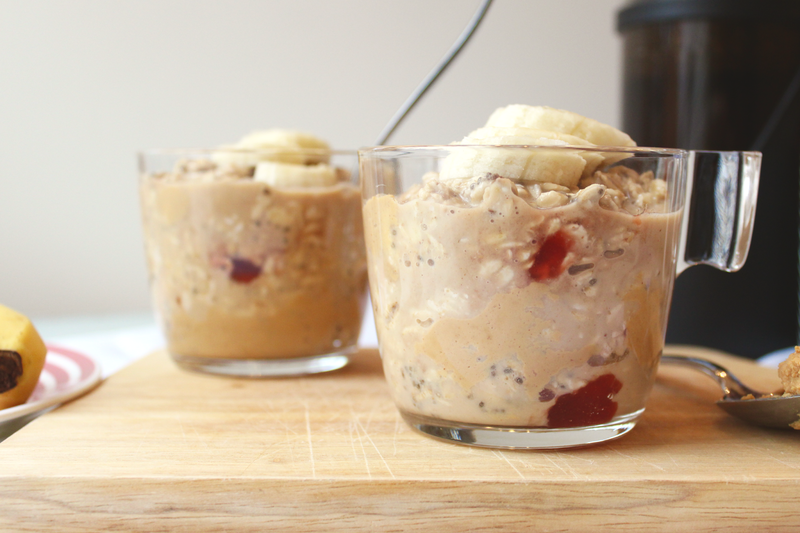 I love the balance of the bitterness of the chia seeds, the earthiness of the oats, and the sweetness of the jelly. 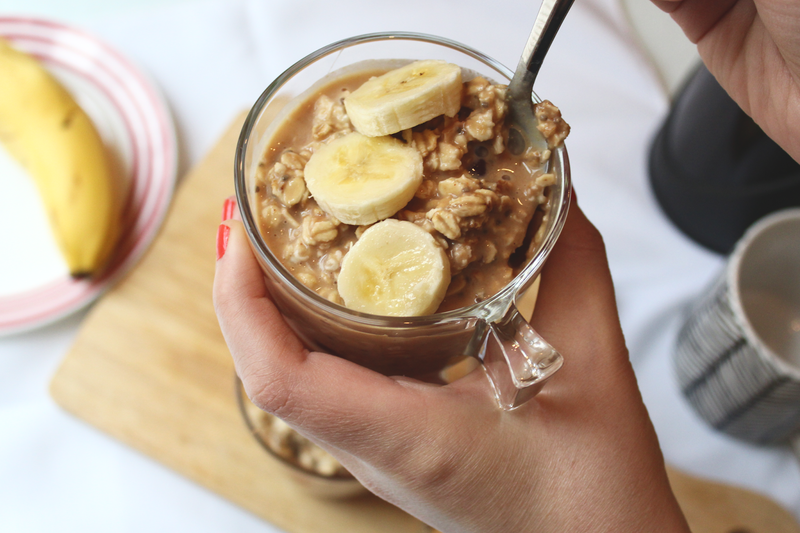 Even though many people eat their overnight oats straight out of the refrigerator in the AM, I like to pop mine in the microwave for 20-30 seconds, just to take the chill off.